Adsorption is a surface-based process, where atoms, ions or molecules from a gas, liquid or dissolved solid adhere to a surface. The exact nature of the bonding depends on the details of the species involved, but the adsorption process is generally classified as physisorption (characteristic of weak Van Der Waals forces) or chemisorption (characteristic of covalent bonding). 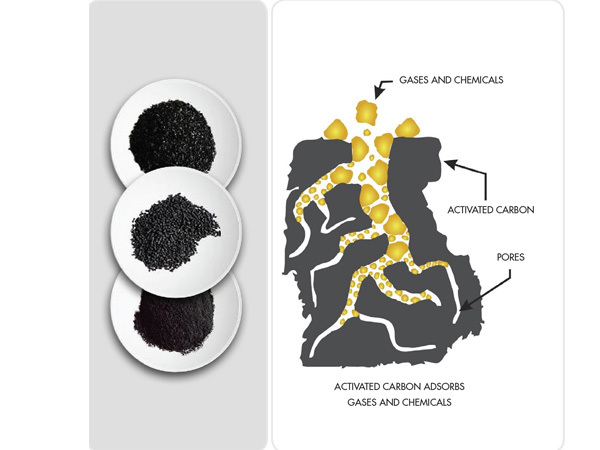 In terms of odor control, adsorption typically refers to the use of activated carbon to adsorb odorous compounds into the activated carbon material. 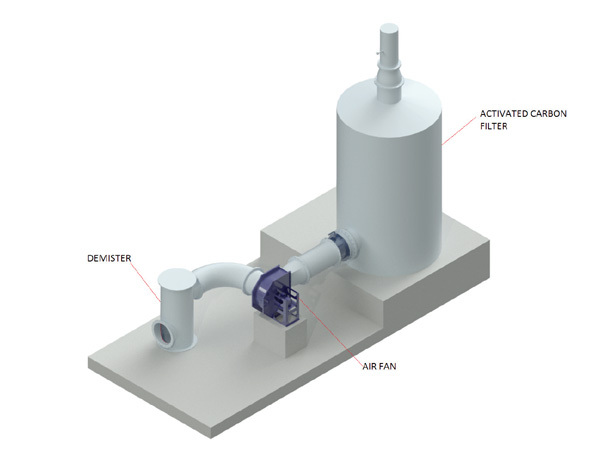 This is usually accomplished by passing the odorous air across a bed of activated carbon, allowing the adsorptive process to occur, and releasing the now clean air into the atmosphere.